Known as a singing cowboy but also as an actor, as a businessman, as owner of a baseball team, a record label amongst may other things, Gene Autry (1907-1998 ) was an important artist in the country music scene. He sold millions of records, convincing his public with his gentle and straightforward singing style, with his considerable technical skills as a vocalist and his likeable personality. He was born in a small community in Texas but moved several times, ending up in Oklahoma. His father was a poor farmer but the family was musical. He did his first public singing in the choir of the local Baptist church. He was also interested in the cowboy songs he heard while growing up and his mother taught him to play the guitar. After graduating from school, he worked as a railroad telegrapher but wanted to make a show business career. At the age of 20, he travelled to New York to make auditions for the major record companies but was advised to gain further experience. 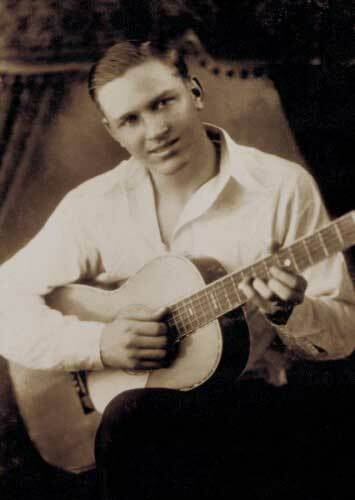 He finally recorded his first songs just weeks before the crash of 1929, copying Jimmie Rodgers and his yodelling blues. 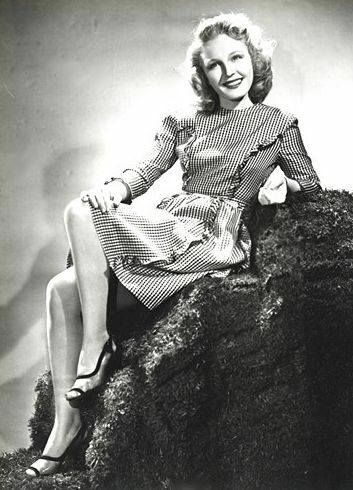 It was singer and steel guitarist Frankie Marvin, a huge Rodgers fan, who introduced the songs to Gene Autry. Autry became one of the most accomplished Rodgers’s imitators: he could capture the nuances of the Rodgers songs, imitate almost perfectly the yodels, the Mississippi dialect and the guitars sounds. His voice was sweeter and with a wider range and he was a terrific yodeler. He made dozens of cover versions of the songs or other songs in the same mould for various companies. These records were sold at bargain prices and he had some succes: people could buy three Autry records for the price of one Rodgers record ! In December 1929, he covered Rodgers’ California blues (Blue Yodel No.4), the hobo song Waiting for a train and the ballad. His friend and steel guitarist Frankie Marvin wrote for him Dust Pan Blues, Slu-Foot Lou and Stay away from my chicken house (where he made the animal imitations). In the next chapter, we’ll look at the following years of his career, still faithtfull to Jimmie Rodgers but also begining to record his own material. You can find the songs on this cd or in this Bear Family box.